Propagate your art journal with the words and flowers that feed your soul. 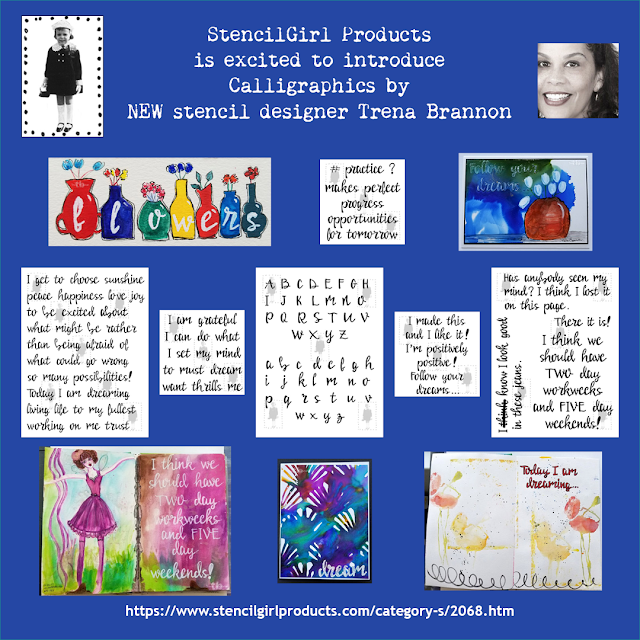 New stencil designer Trena Brannon and returning designer Kristie Taylor have created gorgeous stencils for you! 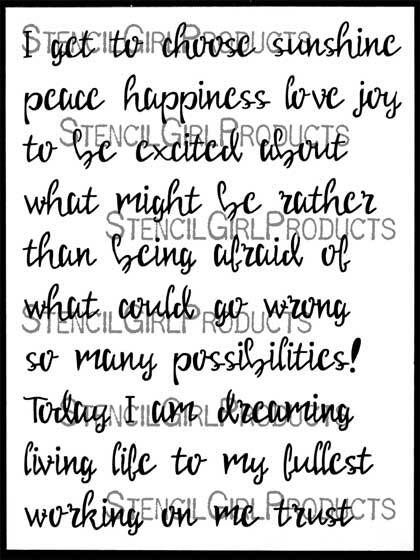 Trena Brannon’s hand lettered calligraphic stencils can be used to add a special sentiment to your handmade cards, to add text in your art journal, and you can also use the letters as a focal point in your artwork because give you a base of brush lettering which you can use as is or add your own style to the letters. They can also be used to create texture and patterns. Use them with any of your art supplies - markers, pencils, paint pens, acrylic paint, watercolor paint - the possibilities are endless! 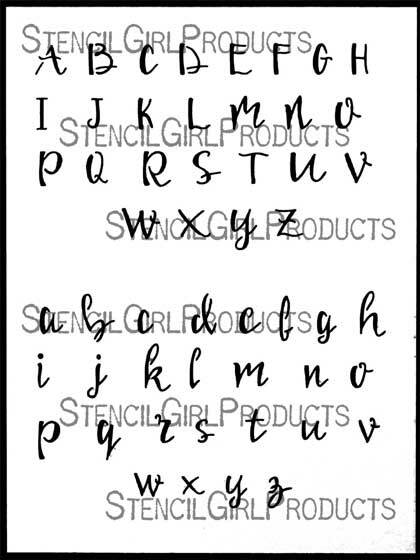 Trena's Brush Alphabet Stencil was inspired by the lovely skill that is calligraphy. 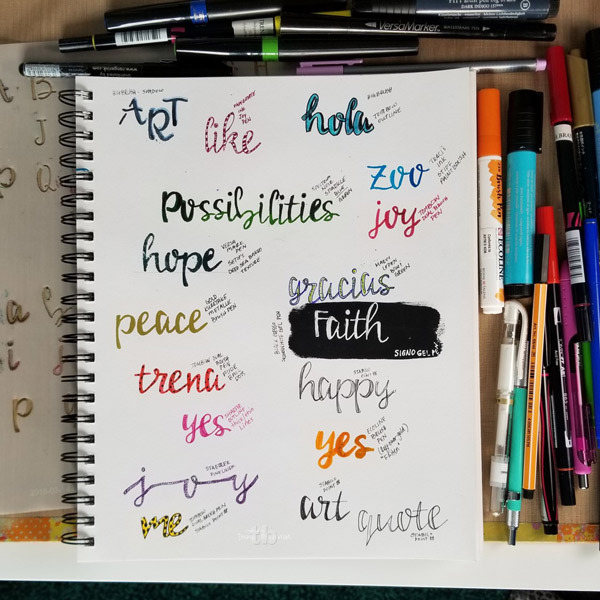 It is a tribute to hand lettering. 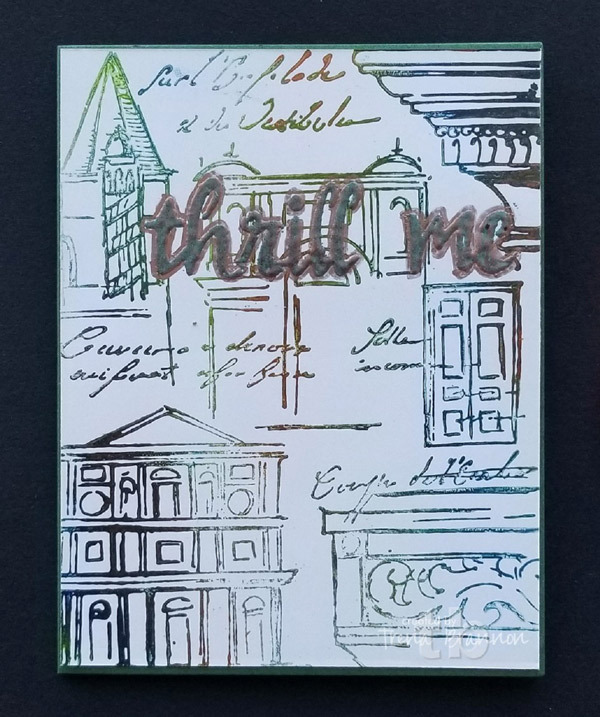 Trena says, “There’s something interesting and appealing about letters as they become graceful art.” This large stencil has upper and lower case letters that may be used in conjunction with Trena's word stencils. 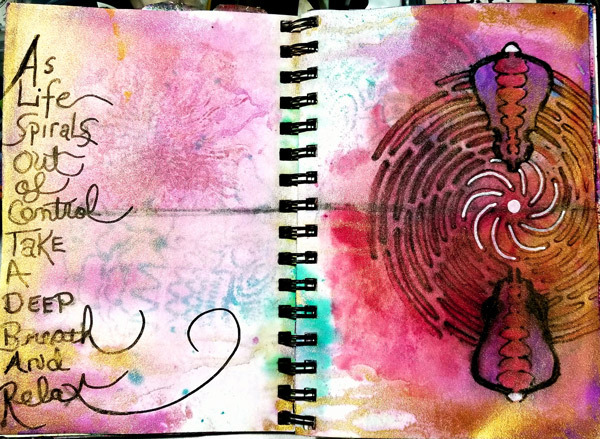 Tip: show different pencils, pens and markers in your art journal. Stressed about the intensity of work? Put on your jeans and get ready to rock the weekend! 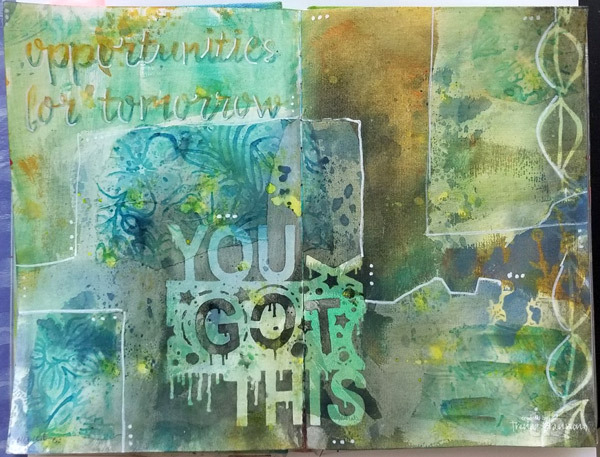 Trena’s large These Jeans Stencil will have you painting in your art journal in no time flat. 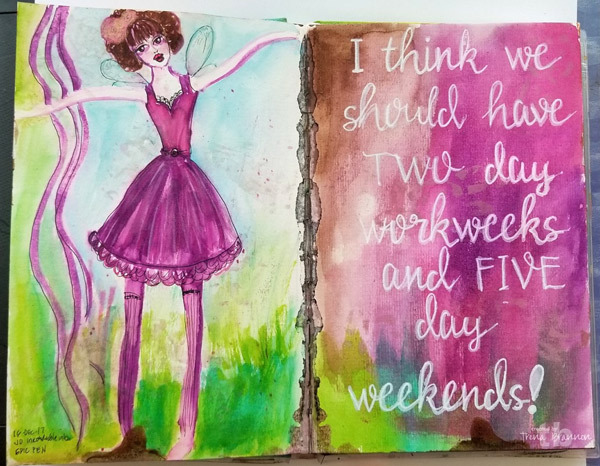 Even if you can't have a five day weekend, you can have fun on Trena's blog! 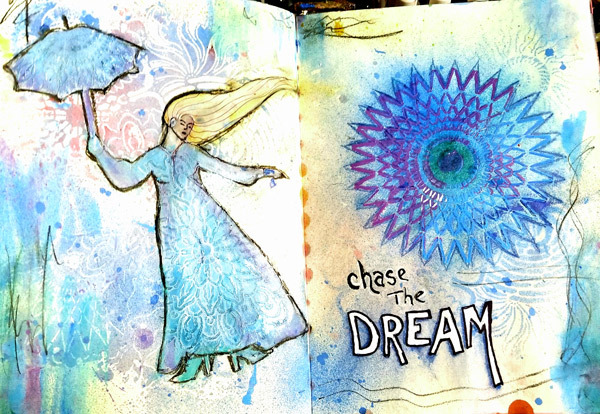 Trena believes in being positive and following dreams. 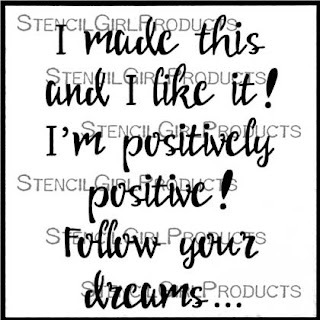 If that also describes you, her small Positively Positive Stencil ready to help you make your artwork -- whether you are doing so for the joy of it or to share with someone special. Being grateful is a state of being that many people aspire to in daily life. 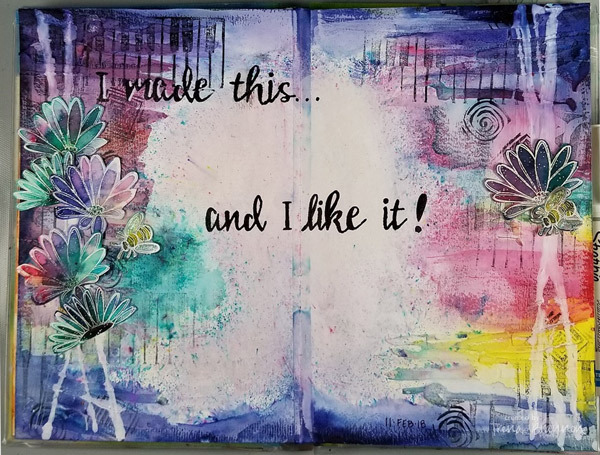 Use Trena’s small but mighty My Mind Stencil to express yourself in your art journal, planner, handmade cards, and on tags. 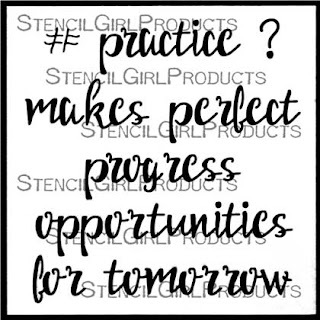 If practice makes perfect, then it stands to reason that progress makes opportunities that lead to more opportunities tomorrow. 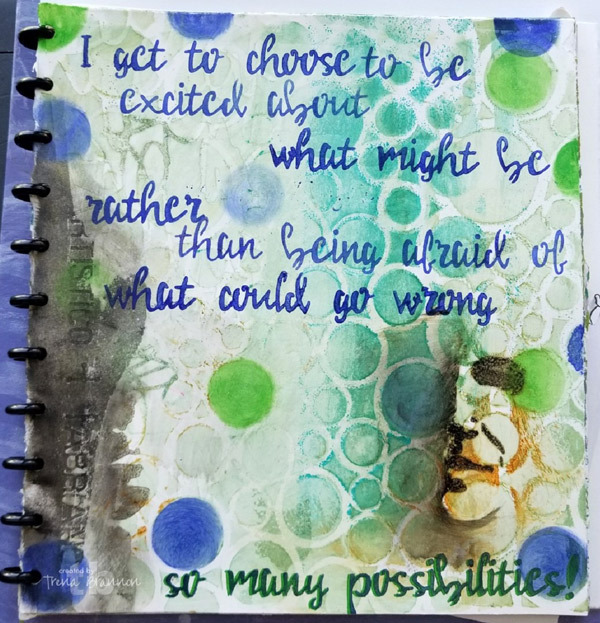 Use the words and symbols of Trena’s small Opportunity & Progress Stencil to let the world know you are making art and ever ready to learn new art techniques. 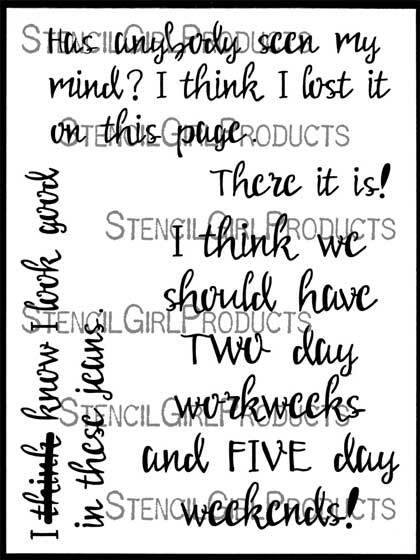 You have so many choices with Trena's large I Get to Choose Stencil. 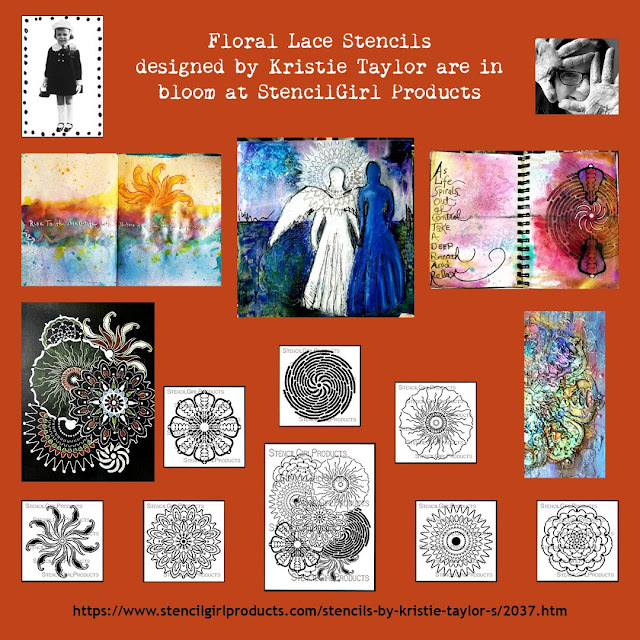 Take your art into the garden with the intricately patterned blossoms of Kristie Taylor's Floral Mandala Lace Stencil. 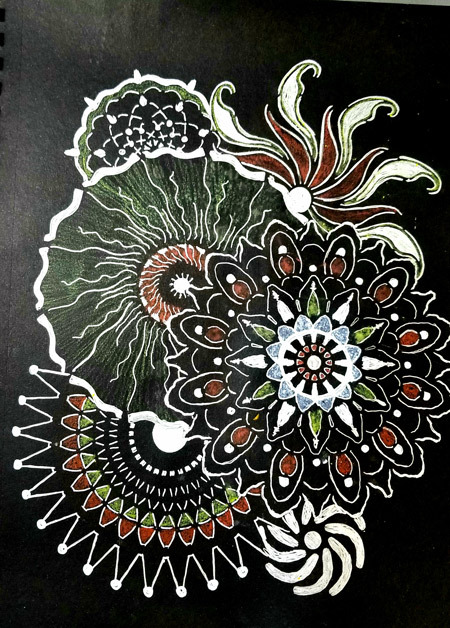 It incorporates 8 abstracted flowers including a morning glory, dahlia, zinnia, marigold, and an anemone. 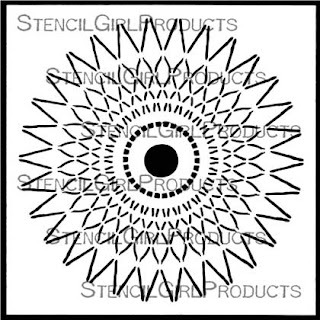 Kristie's Spiked Marigold Stencil is full of energy and while it can certainly be a flower, it can also represent a sun in your artwork. 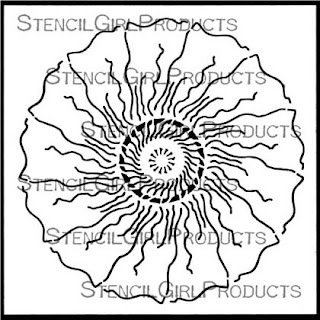 Science meets art in the five layers of petals that surround the atomic center of Kristie's Anemone Coronaria Stencil. 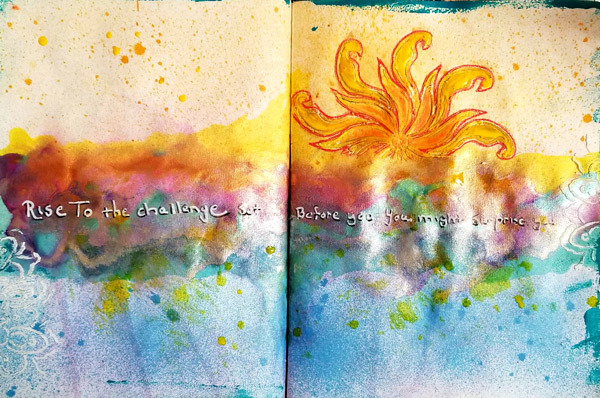 Kristie made a triptych with 3 of her stencils. 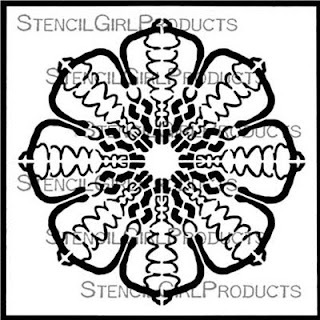 You can see it in an upcoming Scoop or at StencilGirlProducts.com. 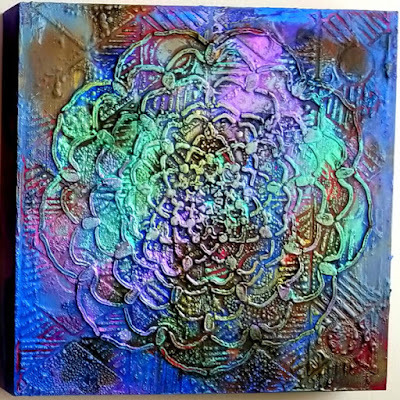 The metallic flowers are lots of layers of paint, then gel medium pushed through the stencil, then alcohol inks and inks gold rubs. The ornately symmetrical pattern of Kristie's Delightful Dahlia Stencil were inspired by the profusion of petals in dahlias in full bloom. 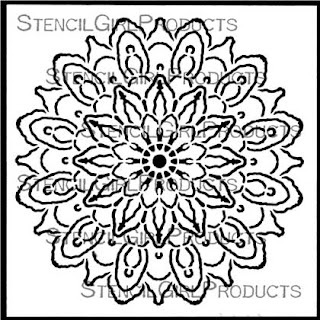 Kristie's Morning Glory Stencil wants to greet you with an open, lovely face. The tallest orchid in the garden, Kristie's abstract Tiger Orchid Stencil is ready to shine it’s beautiful light. 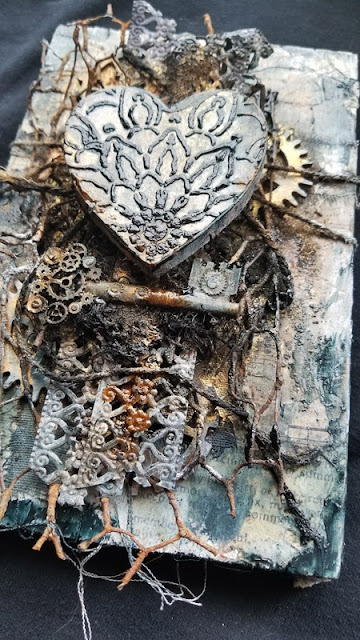 Use a potion or all this robust yet delicate flower in your art journal. 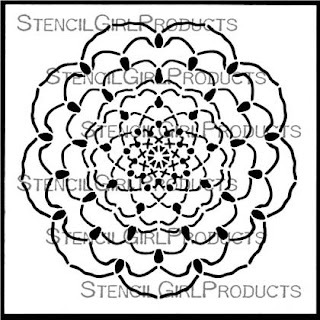 Kristie's Spiral Petals Stencil was inspired by the Fibonacci spiral, a naturally occurring set of numbers and shapes. 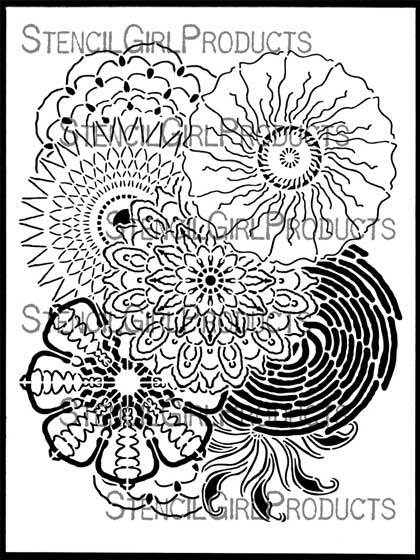 Let Spiral Petals spin it’s way into your art with the perfect spiral shape. 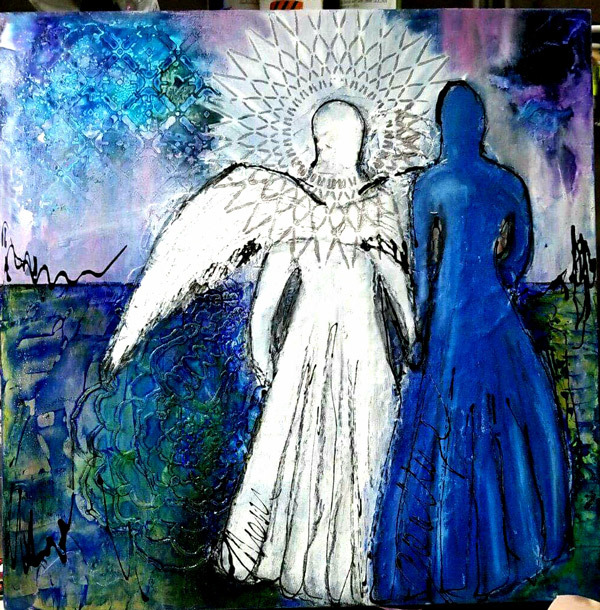 Use acrylics, watercolors er even encaustic wax to paint it one color, or several. The petals of this abstract zinnia are beckoning you. 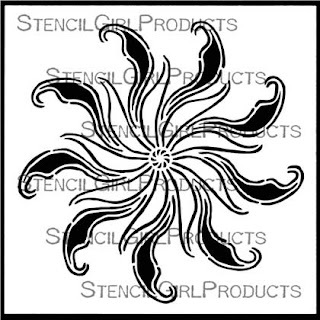 Kristie's Happy Zinnia Stencil is ready to roll through your art as a flower or even a sun. Never miss a stencil release when you sign up for our Scoop. 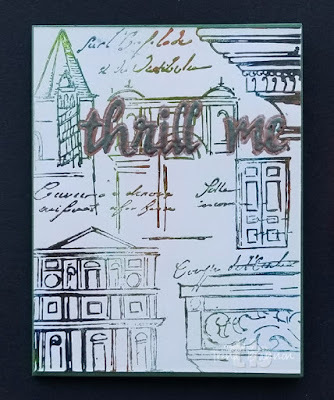 Want to bring the latest by artists for artists stencils home? Go here. Beautiful! 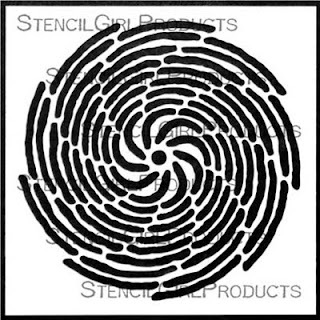 I need to make a new order and get some of these awesome stencils!